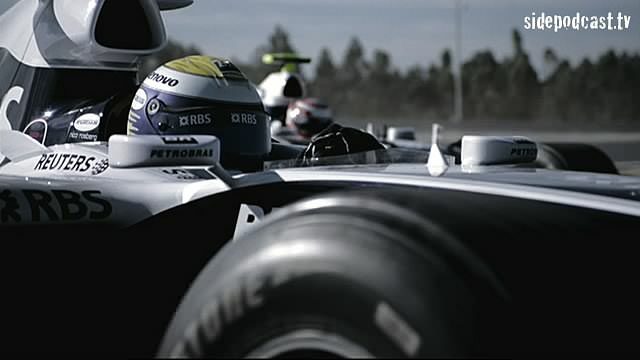 The penultimate round of the 2008 Formula 1 season beckons, and it could hardly be closer at the front. With three drivers still in contention for the WDC crown, Sidepodcast takes a look at the current state of play as another dramatic championship draws to a close. As ever, we take a look around every corner of the Shanghai International Circuit, get Nico's thoughts on the chances of overtaking and look back at the thrilling race we witnessed last year. Special thanks go out to Allianz SE, AT&T Williams and RTV GmbH for the use of their video footage.